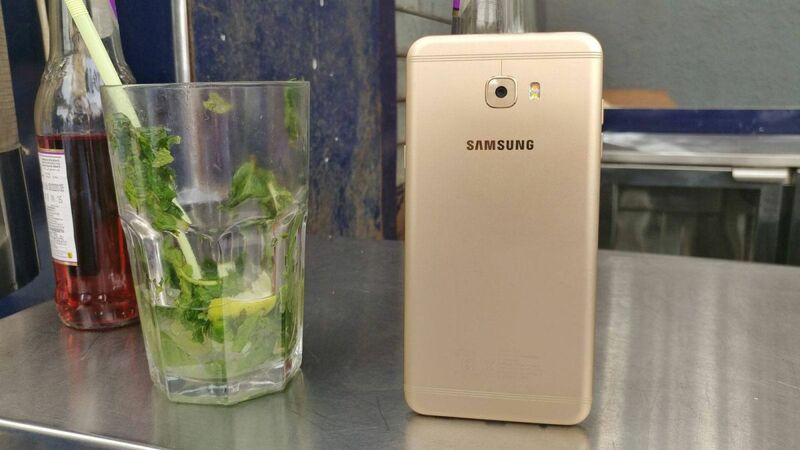 GREENGROUND IT - Should you buy Samsung Galaxy C7 Pro for Rs 21,990? The Samsung Galaxy C7 Pro is priced at Rs 21,990 on Amazon. Given that there are multiple handsets in the same price range, does it really make sense to get this one? Well, we certainly think so. Here’s why. The mammoth 5.7-inch Full HD (1920×1080) Super AMOLED display is a treat for the eyes, and easily one of the best displays you can find in smartphones that are priced under Rs 25,000. Given that Samsung has specialized in the production of AMOLED panels, there really is no company that can rival these display panels. 16MP rear cameras have become quite a common fixture on mobile devices. However, the Galaxy C7 Pro comes with a 16MP camera on the front as well, promising impressive selfies. Both the front and rear cameras are using f/1.9 sensors, so they’re pretty high-end. The handset is packing the octa-core Snapdragon 626 processor with Cortex-A53 CPU cores at a clock speed of 2.2 GHz each. This makes the Galaxy C7 Pro a pretty strong device in terms of raw power. Samsung’s OS optimization should also help the CPU run at its best. The device uses the Adreno 506 GPU to handle the graphics on the device. The Galaxy C7 Pro comes with a massive 3,300mAh battery under the hood, which gives it a distinct advantage over the competition. It might not be on par with some 5,000mAh monsters, but will still get the job done for most users. There’s fast charging on board as well, which has become a common feature on flagships but is seldom seen on mid-ranged offerings. With 4GB of RAM by default and 64GB of internal storage, the Galaxy C7 Pro is pretty well equipped in this area. The device also comes with expandable storage on board, giving you the liberty to add more storage if you so desire. The Galaxy C7 Pro uses the reversible USB Type-C port for charging and data transfer. The company has been mindful enough to offer a 3.5mm headphone jack as well so that the users can charge the phone using a conventional cable and still be able to listen to music.